How cool is this! 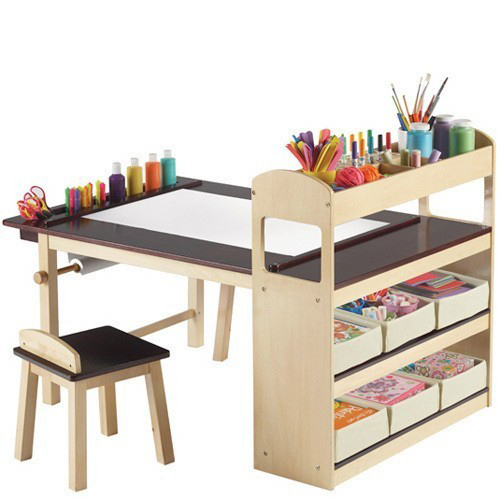 This art center for kids creates the perfect setting for drawing, crafts and creative activities. I would have loved this as a kid. Actually, I still would love to have one! It is available from US store Guidecraft for 450 USD. 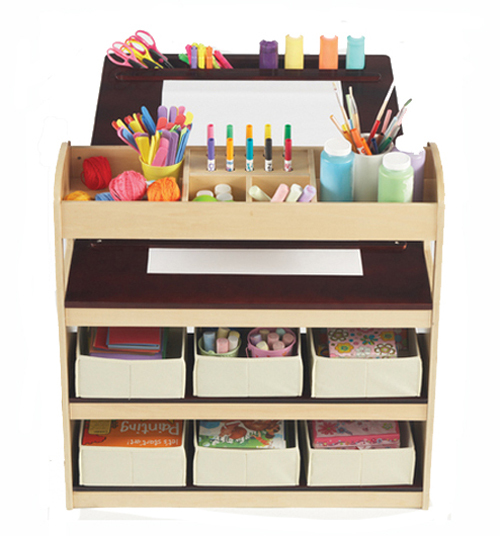 I would like one too, it looks so nice and primary school-isch!